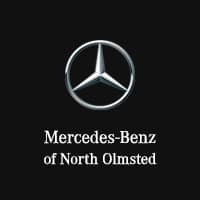 Here at Mercedes-Benz of North Olmsted, we’ve proudly integrated the Mercedes-Benz AMG® philosophy with our service to the community and our duty to our customers. Drivers from Cleveland, Westlake, and beyond come to us when they’re searching for something radically different, and our AMG® center experts always deliver. If you’re ready to reclaim your daily drives with a new Mercedes-Benz AMG® vehicle, Mercedes-Benz of North Olmsted is well-equipped to set you up right. Visit our showroom or contact us to set up your test drive today. Explore our available AMG® Mercedes-Benz models to see all of the possibilities that await you. The best way to experience the power and luxury of one of our AMG® vehicles is to take it out on the road. The story of Mercedes-Benz AMG® begins in 1966, when two engineers exited the Daimler-Benz Development department of Mercedes-Benz in order to pursue a shared passion. Freed from the demands of consumer manufacturing, Aufrecht and Melcher began crafting vital, elegant machines that would drive like no other vehicles on the road. Together, they founded the “Aufrecht Melcher Großaspach engineering firm” with a single-minded focus on motorsports and a “One Man, One Engine” philosophy. Today, that philosophy lives on in the form of the Mercedes-Benz AMG® Brand, which still delivers hand-built 4-Cylinder, V8, and V12 engines, constructed start-to-finish by a single Master Engine Builder. When you drive a Mercedes-Benz AMG® vehicle, you’re coming into direct and intimate contact with a work of art. The Master Engine Builders at AMG® work with skill, attention, and precision that no assembly line can match, and when these handcrafted engines are put into conversation with high-quality materials, innovative design features, and dynamic capabilities, they foster an unforgettable touring experience. The AMG® lineup at Mercedes-Benz of North Olmsted includes a wide selection of superior sedans, SUVs, and roadsters, and you’ll enjoy truly satisfying capabilities no matter which you select. You’ve never experienced North Olmsted like this.